Food allergies aside, who doesn't love cornbread? Sweet or savory, this Southern classic is perfect for all seasons! 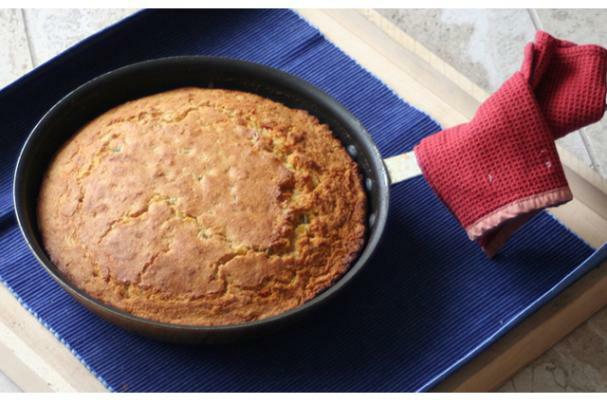 Pair it with barbecue in spring and summer and chilis and stews in fall and winter, everyday can be cornbread day. While I'm a huge fan of cast iron cooking and skillet-baked cornbread is my hands-down favorite, try using a muffin tin to create sweet or savory breakfast muffins or make crumbly cornbread more portable for school lunches, picnics and dining with company. Although many cornbread recipes are naturally gluten free, checking your ingredients is just as important as substituting them in the first place! Make sure your baking powder, cornmeal and any flours that you use are certified gluten free rather than simply taking the package or printed ingredient list at face value. Happy baking!